Children Invention Projects, CIPs, intends to file a patent application for ideas created by children without any fees. Our target generation is from elementary to high school students. 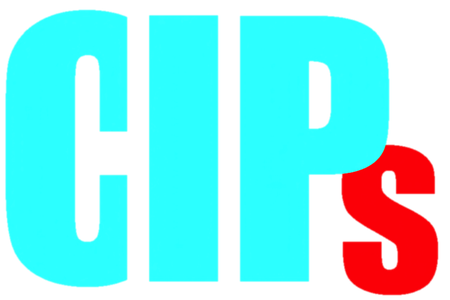 CIPs is operated by Japanese patent attorneys. We widely looking for children's inventions. Please feel free to contact us. We filed a patent application for the invention "Water Faucet" developed by Ms. Risa ENDO, 4th year grade elementary school student (No. 2019-0044332, March 12, 2019). This invention can avoid water splashing even if a handle of the water faucet is rupidly opened. She noticed this invention when the clothes of her younger brother was getting wet. We receive a letter from Ms. ENDO. We filed a patent application for the invention "Pencile Protector" developed by Ms. Mako DOYO, 3rd year grade elementary school student and Ms. Mimiko MURAMATSU, 4th year grade elementary school student (No. 2019-0044322, March 11, 2019). By this invention, a pencil core would not be broken even if the pencil falls on a floor. We received a letter from Ms. DOYO and a letter from Ms. MURAMATSU. We filed a patent application for the invention "Bedding Item" developed by Mr. Masashi TAKEDA, 3rd year grade high school student (No. 2019-016585, February 1, 2019). This bedding item can be easily retracted by one finger tip. We received a letter from Mr. TAKEDA. We filed a patent application for the invention "Protecting Film" for a smart phone developed by Mr. Kyohei HOSONO, 3rd year grade high school student. This protecting film will be merely adheared onto a surface of the smart phone and can avoid long time use of the smart phone.(No. 2019-008117, January 22, 2019). We received a letter from Mr. HOSONO. The patent application of "Smoking Cooker" developed by Mr. Satsuki KUBO, High School Student, has been published (No. 2018-082661, May 31, 2018). 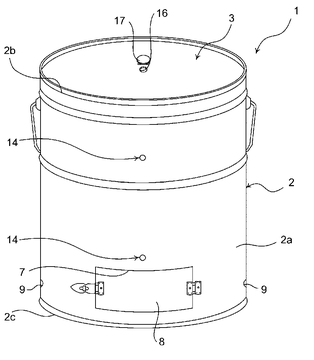 This smoking cooker is made of a recycled Pail Can and able to make delicious smoking cooked foods. The patent application of "Deformable Table Wear" developed by Ms. Mai TORII, Elemntary School Student, has been published (No. 2018-079165, May 24, 2018). This invention can prevent the table wear from flying away in outdoor BBQ. That is, a periphery of a dish is bent down and contacted onto a surface of a table when the wind is browing. An article of Intellectual Property Education in Nagano Technical High School is posted in June Issue of "PATENT Journal" published by Japan Patent Attorney Association. In the article, "Children Invention Projects" is introduced a little bit. The patent application of "Nail Tip Guard" developed by Mr. Kazuki SOUDA, High School Student in NAGANO pref., has been published (No. 2018-071608, May 10, 2018). The nail tip guard can be disposed at a nail tip penetrated from a wall, thereby avoiding injury. We filed a patent application for the invention "3D Map Apparatus" developed by Mr. Hayato MARUYAMA and Mr. Takeru FUKUZAWA, high school students in Nagano Prefecture. A person with weak eyesight can recognize geography and/or various facilities through their fingers. In additon, it is possible to hear sound information in many points on the map. Therefore, more detailed map information can be obtained. This 3D Map Apparatus has been donated to school for the blind(Application No. 2018-023608, filed on February 14, 2018). 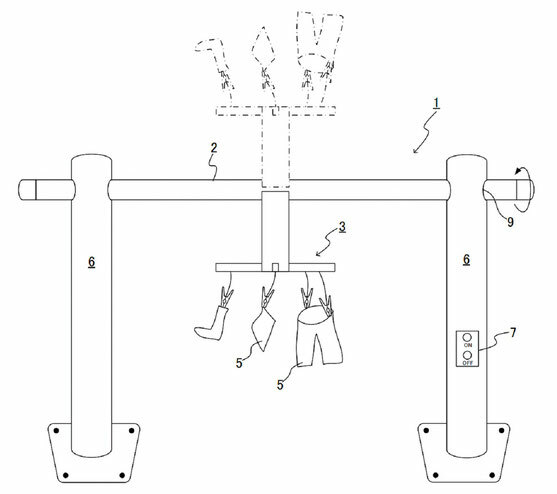 The patent application of "Laundry Apparatus" developed by Ms. Mika HORAGUCHI, Ms. Hoshina FURUKAWA and Mr. Junya KOIKE, elementary school students, has been published (No. 2018-011734, on January 25, 2018). A laundry bar is rotatable, thereby the clothes can be quickly dried. We received a case of an invention relating to a "MAP" from Mr. Hayato MARUYAMA and Mr. Takeru FUKUZAWA. They are high school students in Nagano Prefecture. The map of this invention can provide various infomration even for a person with weak eyesight. I, YAMAZAKI as organizer of this project, will prepare necessary documents. We received a letter from Ms. Chieri KUSANO who is an inventor of "Umbrella and Transparent Curtain used for Same" attending to Mr. Yoshiyuki MACHIDA who is patent attorney in charge and Organizer (me). We also received another warm letter from her mother. We are very encouraged. We filed a patent application for the invention "Umbrella and Transparent Curtain used for Same" made by Ms. Chieri KUSANO, 3rd grade student of Higashita elementary school in Suginami-ku, Tokyo. This invention can prevent a clothes from wetting even if it is under heavy rain by putting a curtain like sheet at periphery of the umbrella (Application No. 2018-002268, filed on January 11, 2018). The patent application of "Laundry Apparatus" developed by Ms. Mika HORAGUCHI, elementary school student, has been published (No. 2017-185060, October 12, 2017). A laundry portion is rotatable, thereby the clothes can be quickly dried. The patent application of "Fish Bone Removing Equipment" developed by Mr. Sho NAKAMURA, elementary school student, has been published (No. 2017-184646, October 12, 2017). The present invention has a scissors like configuration and can easily remove the fish bone.